Con l'acquisto di questo prodotto è possibile raccogliere fino a 180 Punti fedeltà. Il totale del tuo carrello 180 punti può essere convertito in un buono di 1,80 €. 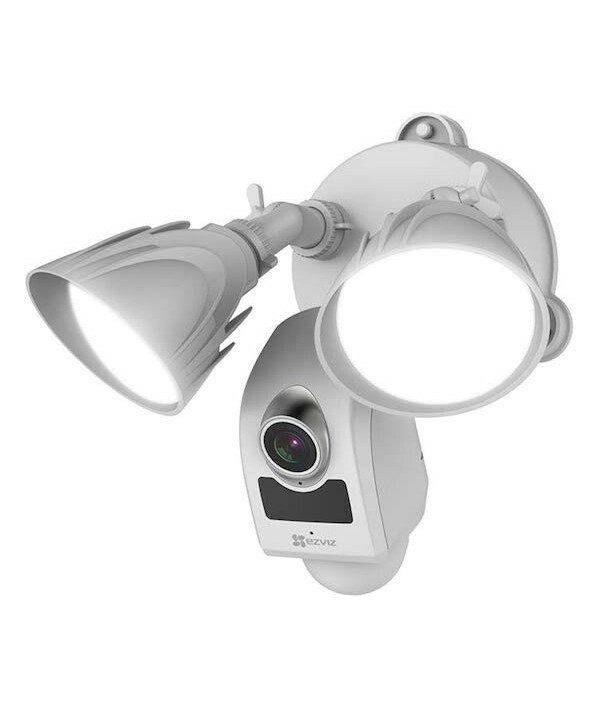 Light up dark spots and add security to outdoor areas around your house with a powerful full-HD security camera armed with ultra-bright lights and defense. With dual 2500 LM LED lights, the LC1 brightens up your way home and illuminates every dark corner of your front porch, backyard, and anywhere else that needs light. When someone enters LC1s 270-degree PIR motion detection area, it emits a 100 dB alarm with flashing light to deter potential intruders. Simultaneously it sends an alert with captured images to your smartphones. You can also customize the detection area to keep an eye on places where you need it the most. The LC1 supports night vision up to 18 meters (60 ft.). It renders sharp, full-HD 1080p images even where there are no lights, so you keep a vigilant eye all night long. Design for outdoor use, the LC1 braves any weather sun, rain, or snow, it stands strong. The LC1 comes with a built-in MicroSD card slot that can store up to 128 GB of recorded footage. You can also save your images to EZVIZ Cloud* for additional back-up. *Cloud storage service is only available in certain markets. Please verify the availability before making any purchase. With the EZVIZ App and EZVIZ Studio Software, you can capture, save, protect, and share whats valuable to you.